Lake Tahoe is an exciting place to vacation or settle permanently. Both the North Shore of Lake Tahoe and Truckee have access to trails that seem to never end and shoreline beaches on both Lake Tahoe and Donner Lake. Check out Truckee Thursdays during summer months or Commons Beach in Tahoe City for live entertainment. South Shore not only offers nightly entertainment options at the various casinos, but hosts a variety of trails, easy back country access, and miles of great beaches. The Stream Profile Chamber by Camp Richardson offers a glimpse into under water fisheries. To top it off, there are twelve ski areas within minutes of most neighborhoods. Pam Hosier is dedicated to finding you the perfect house to call home. Winter sports makes Lake Tahoe a year-round destination area. If you are not a skier or snowboarder, then perhaps you would prefer snowshoeing or cross-country skiing through the pine trees or along the lake. Snowmobile trails are abundant along ridge lines with tours offered. Recently, kite skiing has come into play and there is always ice skating for those hockey enthusiasts. Summer heats up with an array of events and festivities at the ski areas. You can also gracefully glide along a zip line, bungee jump or see how you do on a climbing wall. Music and art festivals should not be missed and they continue throughout the summer months. 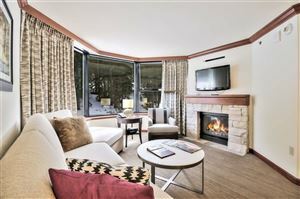 South Lake Tahoe listings last updated Apr 20, 2019 2:13:pm.